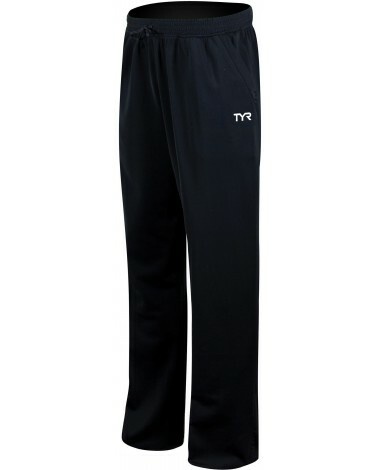 For life outside the water, gear up in the TYR Men's Alliance Victory Warm Up Pants. Offering breathability and flexible range of motion, Alliance pants provide an added layer of coverage for cooler conditions pre/post workout. With side pocket storage and an adjustable cord waist, the WSTPM2A is designed for guys on the go. Ideal for both athletes and coaches alike, the TYR Men's Alliance Victory Warm Up Pants are a staple for teams- keeping everyone feeling comfortable and ready for anything. Like the fit and color. quality is good and the warm ups fit well as compared to the size chart. Width could be a bit slimmer and maybe to make them softer, add some modal or bamboo to the fabric. Comfy, nice fit and fabric. Sized properly. Large pants do not fit the large jacket...they are 6+ inches longer than how a large typically fits. Ended up having to purchase different sizes after they were worn initially. Q: I'm 6'6" with about a 36-37" inseam. What size pant would accommodate that inseam length? Q: Do these have a zippered back pocket? A: Thank you for your inquiry. The Victory Warm Up Pants feature two side seam pockets for small storage, however there is not a rear pocket. Q: What is the length of the warm up pants?